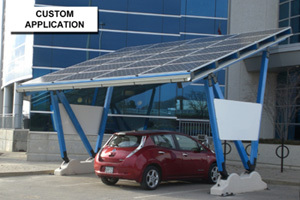 Each renewable energy system is custom configured for its owner. 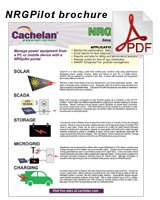 SolarVu® is the name for Cachelan solar energy portals but each one is configured to match the selected equipment with a template GUI that is arranged to suit the application. 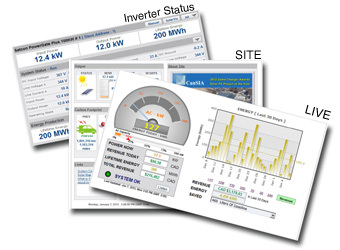 Most systems are grid tied solar PV ranging from small residential to commercial roofs or ground mounted farms. However, portals have been supplied for off grid PV, solar thermal and wind. Distributed generation using renewable energy sources is continuing to evolve requiring new innovation. Cachelan works with installers, project developers, EPCs (engineering, procurement, construction) and directly with owners depending on the size and phase of construction. 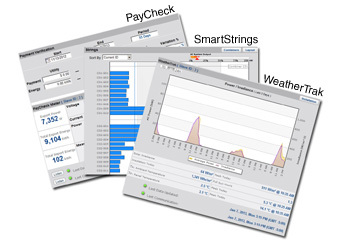 Contact us if you do not see your specific needs addressed in the examples and features shown. 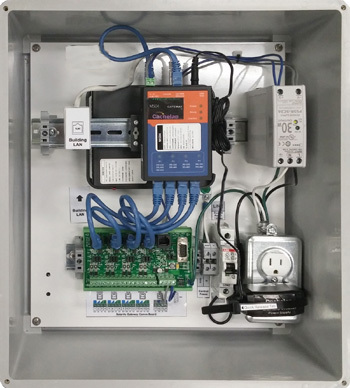 When generation, storage and charge control are combined on a single project, the NRGpilot gateway is configured to talk to each device over serial communications. Distributed generation using renewable energy sources is continuing to evolve requiring new innovation. Cachelan works with installers, project developers, EPCs (engineering, procurement, construction) and directly with owners depending on the size and phase of construction. Contact us if you do not see your specific needs addressed in the examples and features shown. 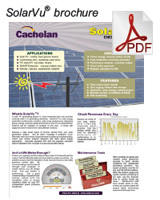 Cachelan develops interfaces to numerous equipment vendor's products and hosts data on its servers for its energy portals. Manufacturers looking for cloud monitoring of their products without the development expense and expertise to do it themselves are invited to contact Cachelan to discuss their requirements.